Originally incorporated in 1987, Aircraft Support Industries (ASI) began operations by specializing in the design and development of aircraft maintenance docking systems. It wasn’t long before ASI had gained a reputation as a leading player in this highly complex and specialized niche. Aircraft Support Industries Group (ASI) is today a world leader in the design and construction of Aircraft Maintenance Facilities having designed and built over 80 hangar facilities worldwide. 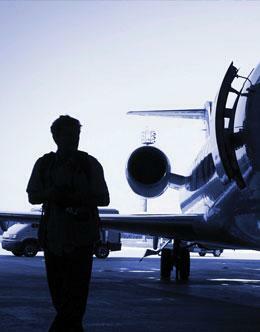 The Company has the in-house expertise in all disciplines required to design and build state of the art facilities. These include but are not limited to architectural facility planning, structural engineering, mechanical and electrical engineering and fire suppression. 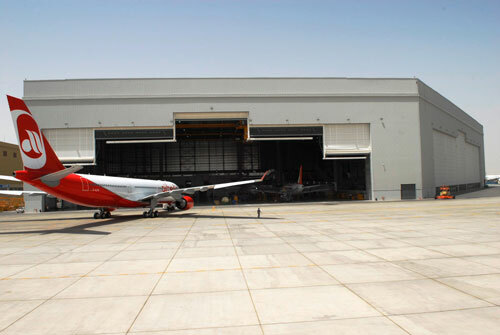 Specialised equipment required in various hangar facilities like docking systems, crane and teleplatform systems, wheel retraction pits, integrated service pits and hangar doors are designed in house or in conjunction with other specialist suppliers within the industry. Facilities designed and built to date range from shelters for military aircraft, right through to heavy maintenance facilities for multiple wide bodied aircrafts, like the A380, with dedicated paint bays, full support workshops and administration buildings. Within the ASI Group the Company owns the intellectual property rights to the stressed arch technology. An innovative post tension system adapted to structural steel buildings, this has been extensively used globally and is extremely cost efficient for clearspan structures of 60-300 meters. The ASI Group also has a fully owned subsidiary, ASI Heavy Lift, that has all specialized equipment and personnel required to stress erect stressed arch structures and vertically lift large conventional roof structures ranging from 100-6000 tonnes. This ensures the group is self sufficient in the erection phase of hangar facilities and not dependant on other heavy lift subcontractors, which in itself is a highly specialized engineering operation. ASI has also recently expanded into a range of capital financing solutions to assist our clients with cost-effective finance packages for outright purchase or lease-back of a facility. Both our Head Office in Singapore and principal design centre located in Sydney, Australia are backed by a strong network of regional and affiliated offices in Philippines, Vietnam, Hong Kong, Dubai, Malta and Russia. Our goal is to fully expand our operations into a truly global presence to efficiently service all major Airline and Aircraft Maintenance Facility markets worldwide. 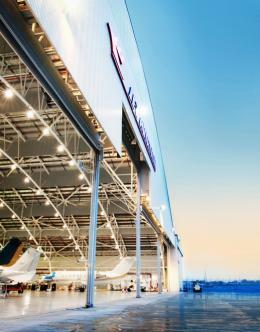 As a globally active design and construction company within the aeronautical industry, Aircraft Support Industries is acutely aware of the impact of the construction of aircraft hangars and facilities. We are committed to minimising the impact of our construction activities and providing ongoing benefits to the local communities. Aircraft Support Industries has been certified to ISO 14001-2004 and undertakes projects in accordance with this standard as a minimum and to any local environmental standards applicable. Our construction process seeks to locally source all construction materials and equipment locally wherever possible and to employ local construction workers and assistants. Where necessary, all non-local materials are sourced within the region to minimize costs to the project as well as reducing the environmental costs associated with transport. Aircraft Support Industries are committed to the development of sustainable solutions for the sourcing of construction material, the consideration of energy efficiency consistent with ongoing cost effectiveness and the development of local communities and industries in the environment we work. We embrace sustainability for the benefit of ourselves, our clients and the world in which we live. Aircraft Support Industries is fully committed to maintaining the highest project Environmental, Quality and Health and Safety systems. To allow us to compete within the international market, we have developed and implemented an integrated Company Management System to ensure our projects operate efficiently and smoothly. This includes independently certified Quality, Occupational Health and Safety and Environmental systems based on internationally recognised standards.